Gamers itching to dive into the colorful world of Kingdom Hearts 3 will likely want to know how long it takes to beat the game. Depending on how you plan to play Kingdom Hearts 3, it could take you dozens of hours to complete. What’s more, Square Enix confirmed that the game’s story epilogue and secret video will be released a few days after the launch of Kingdom Hearts 3. This means that even if you’re able to power through the game in a day, the story campaign won’t be “complete” until you view the epilogue and secret video. To help clear up any confusion, we’ve put together a guide on how long it’ll take you to beat Kingdom Hearts 3! The time it'll take you to beat Kingdom Hearts 3 varies depending on how you intend to play. As stated above, the time it’ll take you to beat Kingdom Hearts 3 varies depending on how you play. Focusing on the campaign alone, Square Enix claims that Kingdom Hearts 3 takes approximately 50 hours to complete. Meanwhile, the consensus among early reviewers is that Kingdom Hearts 3 can be completed in as little as 30 hours when speeding through the campaign and ignoring most other aspects of the game. However, after playing and beating the game ourselves, we feel the minimum completion time is around 40 hours. We also agree with Square Enix's estimate of 50 hours if you intend to watch all of the cutscenes and hunt down various collectibles like Lucky Emblems. 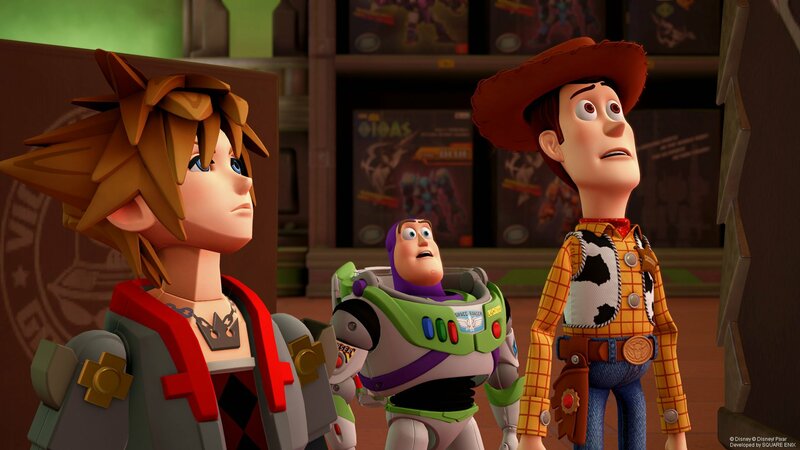 In a Famitsu interview, Kingdom Hearts 3 director Tetsuya Nomura hinted that collectibles are key to unlocking the game’s secret movie. According to Nomura, the secret movie will only unlock for players who’ve discovered and photographed Lucky Emblems. Judging from the description, Lucky Emblems are Mickey Mouse-style symbols hidden throughout the various worlds of Kingdom Hearts 3. Upon discovering them, players will need to photograph them in order to add them to their collection. While Nomura didn’t specify the exact number of Lucky Emblems players will need to photograph in order to unlock the secret movie, he did note that it’s based on difficulty with the higher difficulty settings having a lower Lucky Emblem requirement. Lucky Emblems aside, Kingdom Hearts 3 will likely offer other collectibles, side quests, mini-games, and secrets. For completionists, Kingdom Hearts 3 representatives have stated there’s upwards of 80 hours of content in the game. Based on this information, it’ll take players around 30 hours to complete when speeding through the game, skipping all cutscenes, and ignoring collectibles. If you don't plan on doing that, expect a completion time around 40-50 hours, and 80+ hours for 100% completion. With the completion time in mind, how do you plan on playing Kingdom Hearts 3? Will you power through the story and save the collectibles for later, or do you plan on savoring the game by fully exploring each world? Let us know down in the comments below! For more on Kingdom Hearts 3, be sure to check out some of our previous features including when Kingdom Hearts 3 is scheduled to release, the difference between the Standard and Deluxe Editions of Kingdom Hearts 3, and the news that the epilogue and secret video for Kingdom Hearts 3 won't be available at launch.